Rolf’s foray into homes for feathered friends began with the silent auction TruexCullins held for the King Street Center a few years ago. Those of you who attended this event may remember the wide range of birdhouses designed and constructed by many on our staff. 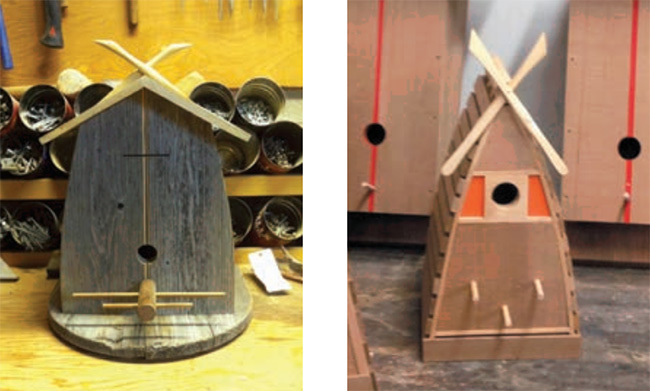 The bird houses were sold to benefit the youth programs offered by the local community center. Rolf stuck with it after that, and has worked on several bird projects since then, including the birdhouse-themed light fixtures for The Roost restaurant at Topnotch Resort. 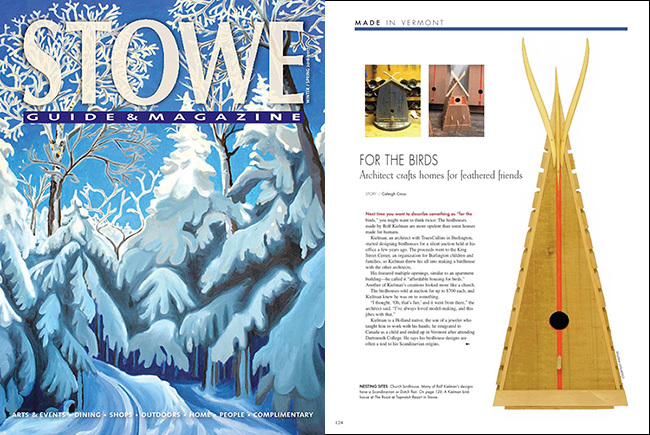 The Stowe Guide is a complimentary bi-annual publication that is available at retail outlets around town. Pick up a copy for yourself to read more about Rolf’s ornithology endeavors! Or click here to read the article online.